Back again at the ESCP Europe Business School in Paris’ 11th district tweeting and reporting highlights from the 2014 Enterprise 2.0 Summit. Did you know there is a vibrant, interesting discussion about this conference happening in real time on Twitter? Just check the dedicated hashtag #e20s. Not quite the same as being in the room, but it is the next best thing. And for attendees, Twitter is an ideal platform to facilitate discussions, make new contacts and set up face-to-face meetings. Today I discovered the tweet wall placed behind one of the stands in the exhibit hall. Apparently it was there yesterday, too! I would have preferred to see this wall inside the conference rooms, even if some people find this distracting. In my experience, Tweet walls add tremendous value to events. For example, they facilitate interaction, widening the discussion and allowing people to express their opinions who might not have otherwise had the opportunity because sessions ran late so there wasn’t time for Q&A, or because they were too self-conscious to speak up. Tweet walls also invite people who aren’t using this social media platforms to benefit from the discussion points being shared on Twitter. There are of course other natural advantages for presenters and for conference organizers who benefit from increased visibility, branding, sponsorship and better attendance for future conferences. 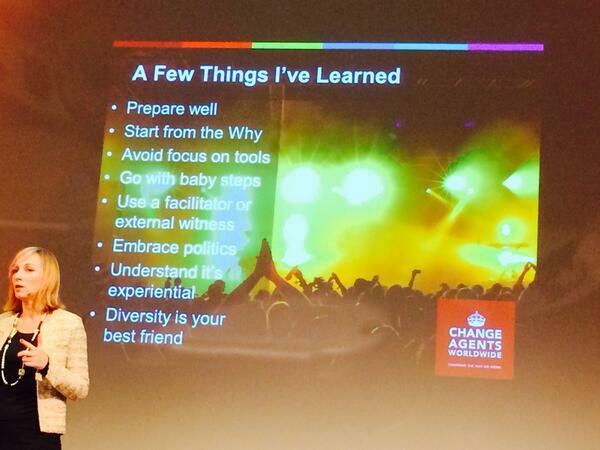 Ellen Trude ‏@e_trude 1h I believe the Sessions with @RemoPonti and @CelineSchill at #e20s are my highlights in 2014. Dr. Marie Taillard, Professor of Marketing at ESCP Europe London, French-American, NYer/London (#creativitymktg) is giving her keynote speech, and this is going to be good. Here is a fascinating blog she wrote advocating for a broader definition of value for social media beyond just an economic value. I shall quit blogging and pay attention to her now. Please click here for coverage of day 1 of the Summit, and don’t hesitate to comment below or to share this post on Twitter, Google+ or LinkedIn. 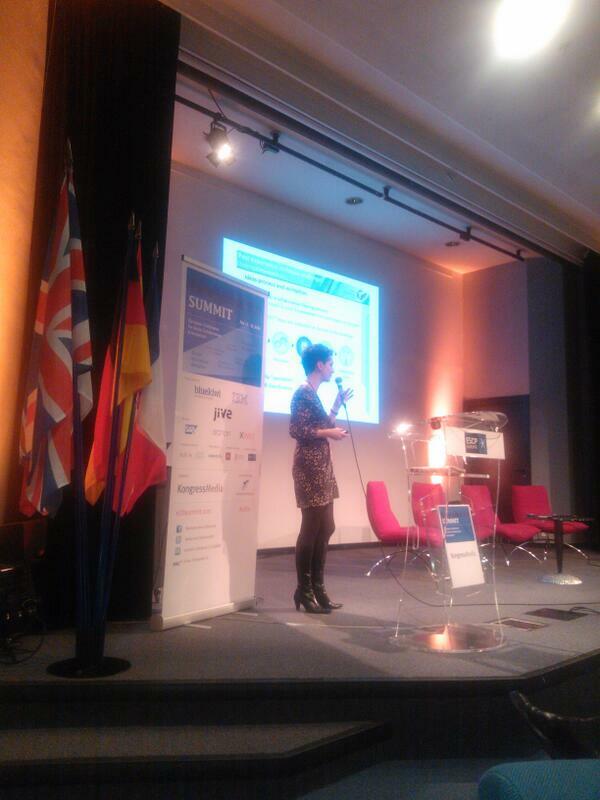 Tags: #e20s, conference, Corporate behavior change, Dr. Marie Taillard, enterprise 2.0, LiveTweets, reporting, social enterprise, Social Media. Bookmark the permalink.